Being stuck in the WordPress login redirect loop can be frustrating. This is one of the more popular problems with the WordPress login screen, where you keep getting redirected back to the wp-admin view, even though you sign-in using the correct credentials each time. Fortunately, there are a few ways to address this issue. In this tutorial, we will show you how to fix the WordPress login redirect looping error. 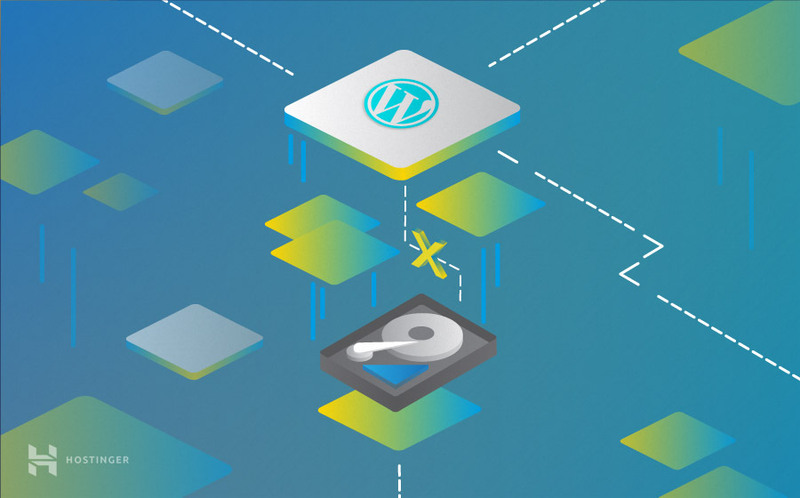 As always, we advise you to create a back-up of your WordPress site; if you don’t know how to backup your site, read this tutorial. When your site is backed-up, we can move ahead with solving this error once and for all. Upon opening Chrome, you will see a three-dotted button on the top-right corner of the screen. Clicking it will reveal a drop-down menu. 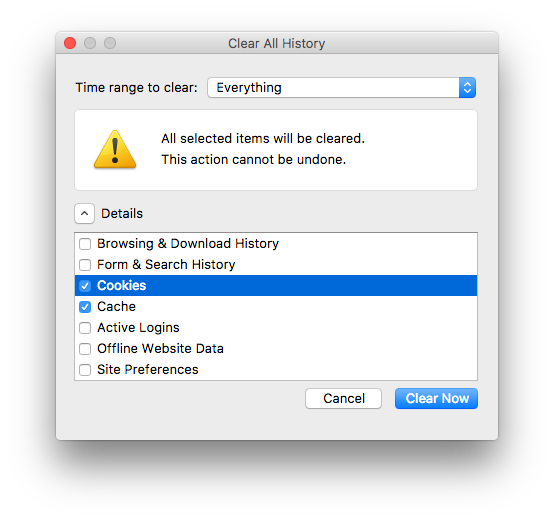 Choose History from this menu, and go to Clear browsing data situated on the left of the screen. You should be able to see a dialog box. Here, select Cookies and other site and plugin data as well as Cached images and files. 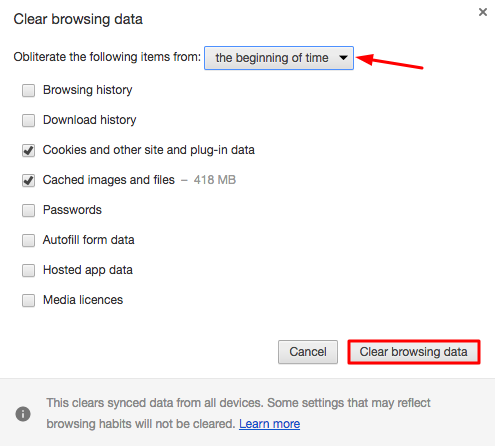 Choose the beginning of time option in the drop-down menu, and click the Clear browsing history button. In Firefox, you can clear cookies by clicking on the button with the three bars on the top-right of the screen. From the menu, select History. 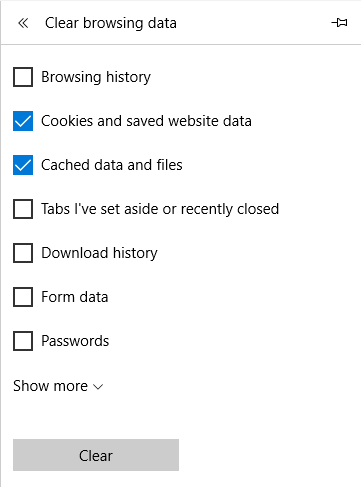 Next, choose the Clear Recent History option. Now set Everything as date range, check Cookies and Cache and click on Clear Now. The more detailed tutorial showing how to clear cache on FireFox can be found here. Click the Safari button on the top-left corner of the screen, located right next to the Apple logo. From here, select Preferences. Next, choose the Privacy option, which will take you to the privacy settings screen. Click the Manage Website Data… button. Now find your WordPress site in the list and click on Remove. Alternatively, you can hit Remove All button to clear all data. Open up Edge, and click the horizontal three-dotted button on the top-right. Choose Settings from the drop-down menu. 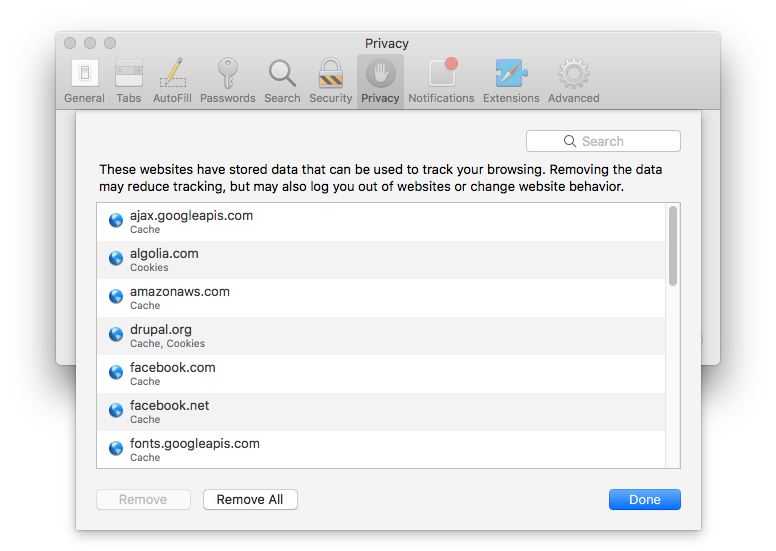 You then will be taken to the settings page, where you need to find the Clear browsing data section. Once you’ve located this area, click on Choose what to clear. From the subsequent menu, check Cookies and saved website data and Cached data and files. Then, click Clear. You should see the All clear! message, confirming that your cookies and cache data has been erased. In some cases, the otherwise benevolent .htaccess file may be the culprit behind the WordPress login redirect loop. Your wp-admin not working could be a direct result of a corrupted .htaccess file, which means that you should remove this faulty version of the file, and replace it with a working one. 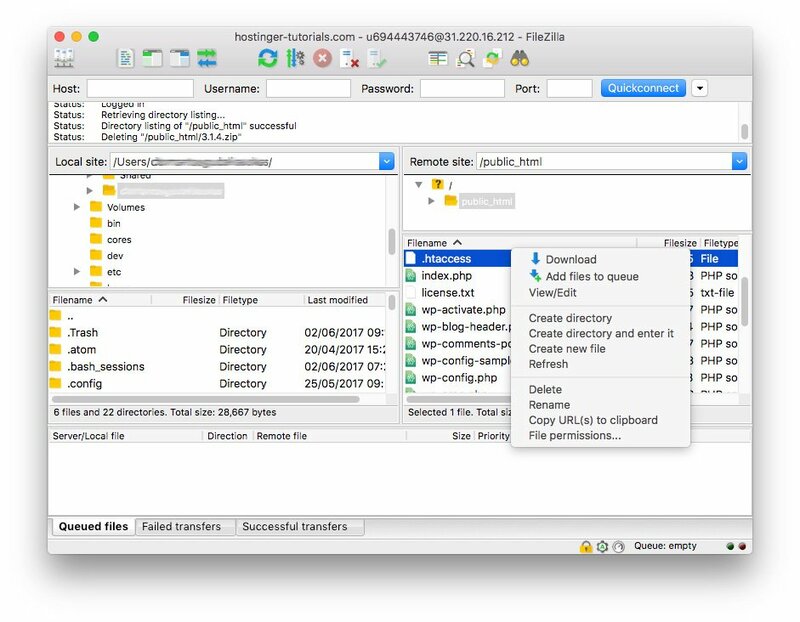 To remove your existing .htaccess file, open up an FTP client like FileZilla and connect to your site. The .htaccess file can be found in the site’s root folder (usually it’s public_html). If you using FileZilla simply right-click on .htaccess file and choose Delete. Alternatively, you can disable this file by renaming it to, for example, .htacccess-disabled. Once deleted, follow this tutorial on how to create a default .htaccess file for your WordPress site. Another suspect area to explore if your WordPress login is not working pertains to your site’s themes and plugins. There have been cases where some plugins behave strangely with other plugins already installed. 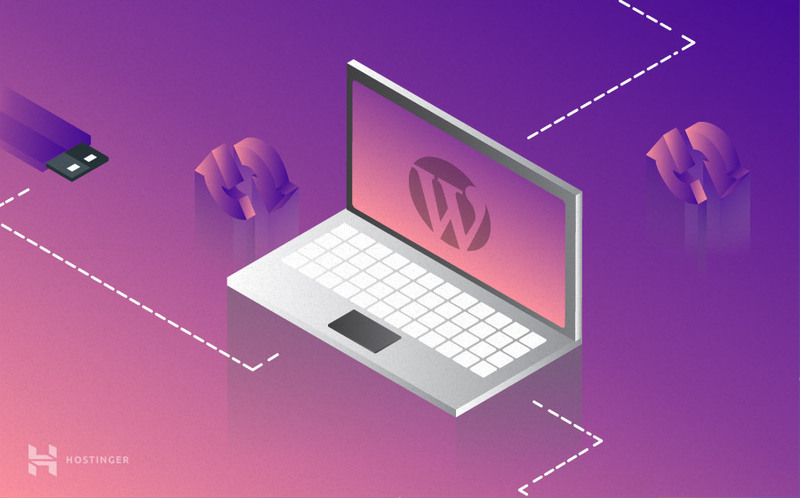 To make sure that a bad plugin isn’t causing the WordPress admin area redirect loop, simply connect to your account using FileZilla, and enter the wp-content directory. Rename the plugins folder to something else, which will ensure that WordPress does not find them when loading your site. Now, check to see if the login redirect issue still persists. If not, it means there was a problem with your plugins. If WordPress login redirect loop issue is gone, it means one or more plugins were corrupted. To find out which plugin is corrupted, enable plugins by the renaming folder back to plugins and try to disable individual plugins. You can do this by renaming each plugin folder one by one. In addition to plugins, custom themes can also cause WordPress login to not work. To troubleshoot this instance, revert your site to the default WordPress theme. You can do this using phpMyAdmin. To revert to the default WordPress theme on Hostinger WordPress hosting, access your control panel and go to Databases. Choose appropriate MySQL database (see this tutorial on how to find out WordPress database name) and click on phpMyAdmin, and from there, select the relevant database. Next, expand database tables and choose wp_options (you may have a different prefix than wp_). Now that the table is open, select Browse and click on Show All. This will let you see every column of the table. From here, you have to find the template and stylesheet rows. For both rows, follow this procedure – double-click on the current theme name and change it to twentyseventeen (default WordPress theme). Now, try to login to wp-admin. If you’re not getting the redirect loop, then it means that your custom theme was causing the error. Hopefully, you’re able to fix this error using any one of the above options. Check out similar WordPress tutorials where we resolve various bugs and errors. PrestaShop vs WooCommerce: What’s the Best Platform for eCommerce Beginners?